How do earrings made of polymer clay? 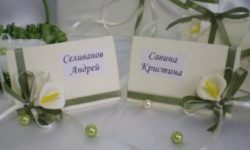 How to make earrings of dummy, flowers and Christmas trees made of polymer clay? How to make beautiful earrings yourself? With the advent of polymer clay, almost everyFashionable woman can make for herself a bright and original decoration. It can be bracelets, beads and earrings. The work does not take much time, you just need to know what and how to do. We suggest to find out how to make earrings from polymer clay with your own hands. Before you start to sculpt flowers and fir-trees, you mustPrepare. What is polymer clay? It is very plastic and harmless material. In its consistency, it is very similar to plasticine, even sold the same brusochkami. But unlike the first thermoplastic, after heating to certain temperatures it becomes hard. So, having fashioned earrings from polymer clay, they will have to be baked in the oven. There is another kind of material - thiscold porcelain. For solidification, the thing just needs to be left for a day. Most often, flowers are molded from him, and from thermoplastic - beautiful earrings, beads and bracelets. Sell ​​plastic in stores along withStationery. 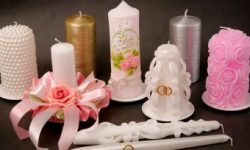 The most popular firm is Fimo, but you can find Sculpey or Cernit. The difference between them in price, color, temperature and heating time. To obtain the original color and relief structure, 3 techniques are used: watercolor, salt and sausage. How to get a beautiful clay earrings from polymer clay. If you decide to make something out of a thermoplastic, then prepare everything you need before starting work. Varnish with sparkles and colorless. Earrings made of polymer clay can be tricks, carnations and with a classic clasp. Depending on the chosen option, the necessary fasteners are selected. Let's start making carnations. Let's try to make out the red polymer clayRose earrings. Wearing gloves, knead the plastic with your hands until it becomes soft. Separate a small piece and roll an even sausage 3-5 cm long. From one edge, reduce the thickness of the cylinder, squeezing it with your fingers. As a result, we get a workpiece in the form of a gramophone tube, with a ball on the end. To make a rosette a thickened edge of the sausageWe divide the knife into 4 equal parts. Now open our bud. We move one quarter away from the center, and flatten it on the forefinger. In the other hand, take a toothpick and begin to form a petal. We press a sharp tip to the core, and the rod itself rolls out the surface of the plastic. First on one side, then on the other. The rose should have a rounded wavy petal. The same manipulations are done with the remaining 3 parts of the bud. The base, made by own hands, is ready. We take 8 separate balls and mold the petals of different sizes, using the technology described above. Since carnations are worn in pairs, there should be two blanks, and additional petals 16. Now carefully form the flowers availableWe twist the petals - this is the core, we attach the additional ones at the base. To keep them better, attaching, ironing several times with your fingers around the circle at the very base. Look at the flower and if necessary - stretch the plastic again, so that the external resemblance to the rose is the maximum. While thermoplastic has not been in the oven, craftsCan be altered as many times as necessary. The rose is trimmed with a stem and the flower is ready. Having made the details, bake the billets at a temperature of 100-130 degrees for 3 minutes. After solidifying to the base of the superglue colorsPaste the carnations. On the petals we pass through varnish with sparkles, if there is none, colorless + gold or silver dust will do. After sprinkling a flower, let it dry, after that we wax unnecessary sparkles. 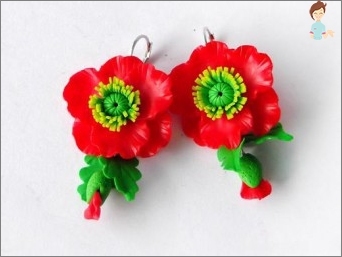 In addition to these earrings, carnations, from polymer clayYou can make other flowers. Remember: the studs do not go beyond the lobes, the hanging patterns can be of different lengths, the flowers can alternate with leaves and berries. Recently, great popularityUse informal earrings from polymer clay, the so-called snag and false rastryazhki. Make them with their own hands is also not difficult. Materials and tools are the same as on carnations. Roll out the clay, forming a cylinder. We divide it into 2 parts: a tail and a muzzle. The first is shorter, the second is longer and we continue to roll out. Tail gradually thin to the edge, from the thickening cut off a few circles. The front part of the dummy is made even in thickness, then one edge is gently flattened with fingers, a toothpick draws eyes and mouth. Making deceptions with your own hands, as fastenersWe use silicone plugs and metal bases. In the tail part on the center of the toothpick we make a hole into which we insert the plastic part. From above we cover silicone with the help of cut offCircles, they also make holes, put them on the plug, carefully hide the joints. The same is done with snout snout, but instead of the stub we put the studs. Dummies are almost ready, it is necessary to correct a littleShape. Doing such earrings with your own hands, you should make the most of your imagination. The tail is lowered slightly downwards, the upper part is smoothly bent, giving the impression that the snake is crawling to the edge of the ear. When everything is ready, we send the earrings-dummy from polymer clay to the oven for 5 minutes. If desired, eye-beads or pebbles are inserted on the muzzle and a tongue bifurcated is attached. Having made snakes with their own hands, you can open them with a colorless varnish. You can make earrings of different shapes with your own hands. Beautiful looking Christmas tree-puffery. To make earrings you will need a thermoplastic of green color, fasteners and a knife. Roll the layer thickness of at least 5 mm. From it we cut out 2 figurines of the necessary form, the sizes are arbitrary. To the crown of the Christmas tree fasten the fastener. Jewelry is ready. You can decorate the craft with New Year's toys, rolling small balls of colorful pieces of thermoplastic. After heating, the edges of the branches are painted with a white varnish that mimics the snow. Such earrings-Christmas trees made of polymer clay will be a perfect addition to the New Year's party. Using the technique of watercolor can be obtainedBeautiful colored patterns. For this, plastic of different colors is rolled out in thin layers. After that, they are stacked on top of each other, and rolled with a rolling pin all together. Now you can cut along and once again roll or twist the sausage, then roll it out. From the abstraction obtained, we cut out variousGeometric shapes and fasten on a metal base. We decorate with other details from thermoplastic, beads or buttons, we send to the oven for 5 minutes. If you want, open it with lacquer or add sparkles. Jewelry is ready. Earrings made of polymer clay are always interestingAnd original. Such ornaments attract attention with their unusualness and it does not matter which forms are used, flowers or sandwiches. 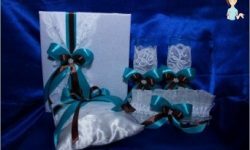 Since the material is not expensive, it is possible to make jewelry for each outfit. All the necessary materials are sold in stores. A little imagination - and you have a new kit! A little practice and soon many girlfriends will dream of receiving from you as a gift such flowers-earrings with polymer clay. The main thing, do not be afraid to experiment.